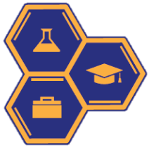 We are here to advance the soft skills of chemists as they begin their career, and to provide guidance to early career chemists. Our definition of a younger chemist is anyone who is beginning their chemistry career. We have no age limits, and welcome all members to utilize the advice of our experienced chemists who can help guide us as early career chemists. Contact younger@acsprof.org for more information. We work very closely with the Younger Chemist Committee to assist in their programming needs. We all need to help the program at the local, regional, and national levels. They have a variety of activities at meetings.